The Pluto is a square shaped hot tub for 5 people, really designed for having fun and comes with a built in music audio system as standard and is available with options including extra insulation to minimise running costs and improve efficiency. The Pluto has two lounge seats as standard with an additional 3 normal seats and you can feel the fun from a massive 42 jets powered by a 3HP double speed pump. The Pluto from Wellis is great if you want a 5 seater at a competitive price in a square design. As with all of the hot tubs in the MyLine range, the Pluto comes with build quality guarantees. The Pluto is available in five different shell colours and also has a UV proof wood textured sides and a reinforced shell that combines durability with great looks. 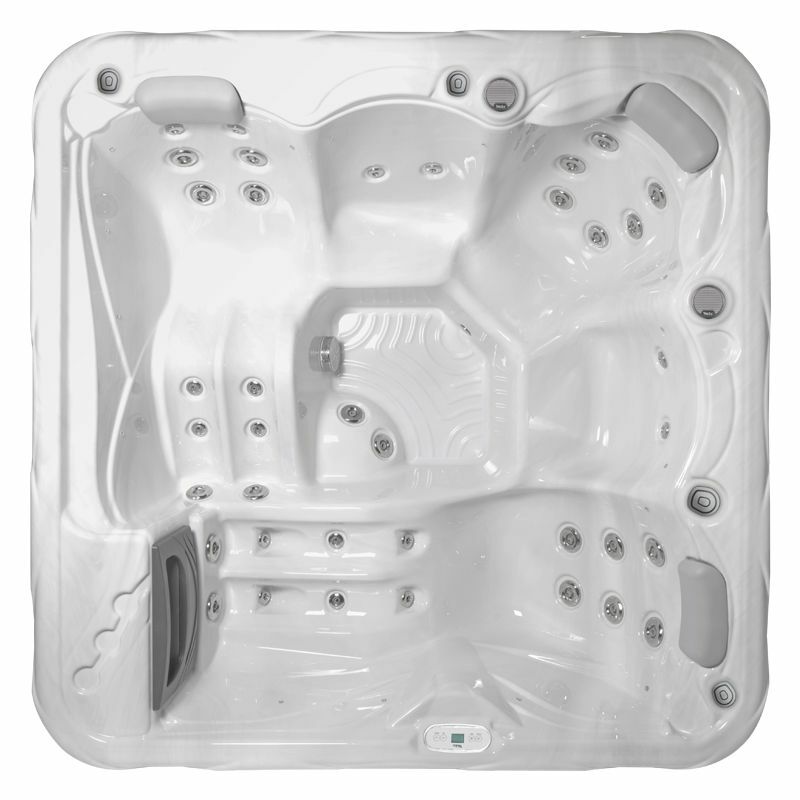 There are 16 lights and 3 headrests along with two ultra fine filters for the best hot tub experience that you can buy in this price range, perfect for families.